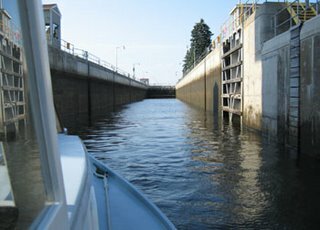 Entering the Federal Lock at Troy. 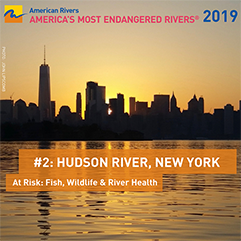 This is the north end of the tidal Hudson – the Estuary – about 135 nautical miles north of the Battery. This lock lifts about 17 feet. A few miles up and you come to Waterford where the Mohawk River enters the Hudson and where the Erie Canal starts west.